Have you ever found yourself outside at night in need of a bright flashlight? Or looking for something in a dark area? I just purchased a really handy flashlight. 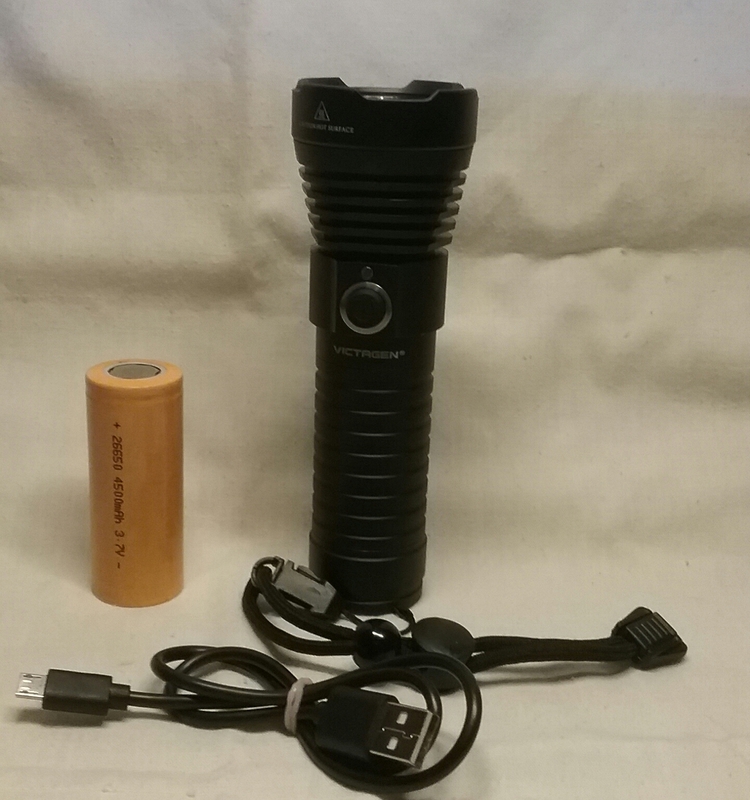 Victagen Tactical 1000 Lumen Flashlight has some really cool features. First of all it's really bright, 1000 lumens when set on bright, Strobe or SOS, 500 lumens when set on medium. That's 4 different settings. It shines a beam over 350 yards. Secondly, it comes with a rechargable battery. You charge it with the included micro USB charger. You can plug it into the USB port on your computer or other devices. Charge for 2 hours for a complete charge that will last 4 hours shining on the highest setting. Thirdly, it's water resistant. It has a water resistant rating of IP65, that protects your flashlight from water splashing from any angle. That means if you're fishing or it happens to be raining, your flashlight is safe. The high strength aero-grade aluminum alloy body is treated with military-spec hard anodized finish to protect from scratches, abrasions, and corrosion.This is the perfect flashlight to carry jogging, running, walking your dog, camping, fishing, etc.